When: Saturday, Sept. 19 at 6 p.m.
For the third consecutive week the Bisons will be playing a Top 10 CIS-ranked team (#8 Saskatchewan Huskies in Week 1 and #2 Calgary Dinos in Week 2) when they play host to the #10 UBC Thunderbirds this weekend at Investors Group Field. 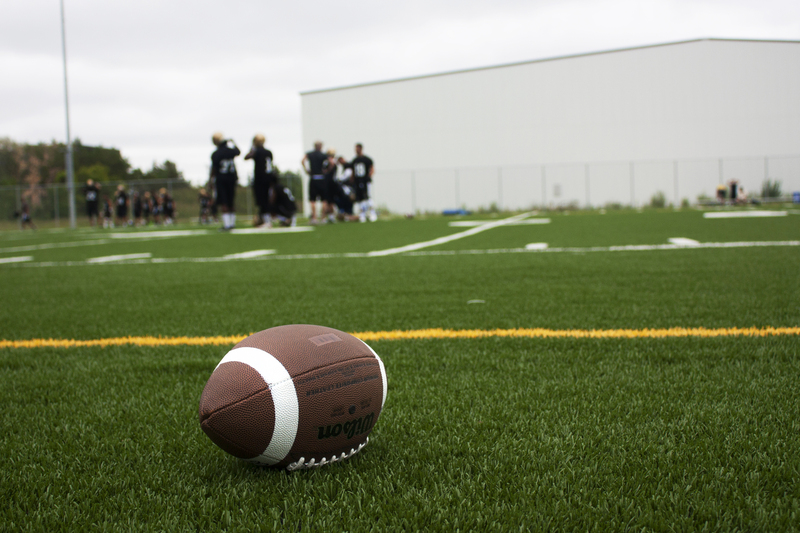 The T-Birds won their game last week against the Regina Rams by a score of 27-20. 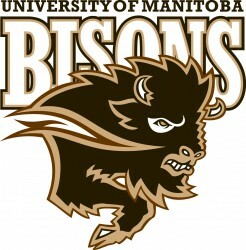 Manitoba dropped a thriller to the Calgary Dinos by a score of 46-38. 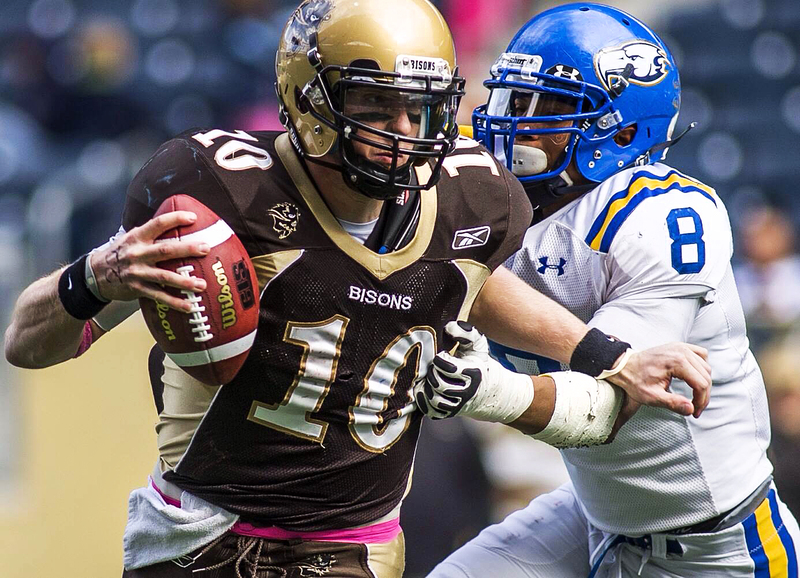 Last season’s only match-up between these two teams resulted in a 20-10 win for the Bisons. Lyles turned heads in the Bisons’ first game of the year when he ran for an impressive 155 yards on 11 carries and a touchdown. He followed up that spectacular performance contributing elsewhere against the Dinos in week two. Lyles went for 209 yards on four kick returns, averaging 52 yards a return. For his efforts, Lyles was named Canada West Special Teams Player of the Week. Lyles also posted decent numbers at the running back position, gaining 82 yards on 11 carries. He will look to have another solid day on the ground as he goes up against a Thunderbird team that has allowed almost 500 yards total rushing in the last two games. Deezar faced a true test last week, going up against a very talented Dinos team but showed both his teammates and the rest of the league that he deserves to be at the helm of that Bisons offence. He posted a sub-50 per cent completion record but threw for 364 yards en route to a two-touchdown night. Late in the game, Deezar showed his athleticism calling his own number and rushing in for a touchdown. It’s beginning to seem that week to week, Deezar is showing more and more that he deserves to be the Bisons ‘guy’ but will be up against another true test as he will be facing some stud defenders from this Thunderbird defence. Last week against the Regina Rams, Barnett showed his stability at the linebacker position, posting 13 tackles in the contest. Barnett led all Thunderbird defenders in tackles en route to a crucial win. 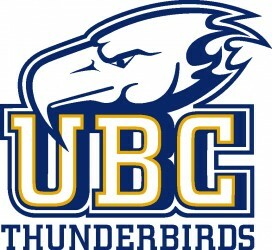 This came after an even more impressive week from Barnett, when his Thunderbirds took on the Dinos. Barnett had a lower tackle count, at nine, but chipped in three sacks on the night getting pressure on a stingy offensive line that only allowed one sack against the Bisons the very next week. Barnett will look to get pressure against a Bison offensive line that has allowed four sacks in two games. Loffler is an aggressive defensive back that does not shy away from contact – he posted 14 tackles his first week against the Dinos. leading all Thunderbird defenders in the game. Last week he followed up that gritty performance with another double-digit tackle total with 11 and chipped in an interception on Regina quarterback and Manitoban Tyler Viera. Loffler is going to have his hands full with the high flying offence led by Deezar, but you can guarantee that number 10 will be in on a few different plays as he looks to go double-digit tackles for a third consecutive game. Tickets can be purchased online or at the stadium, but if you’re unable to make the game, it will be available on live radio broadcast on 680 CJOB (online at cjob.com).